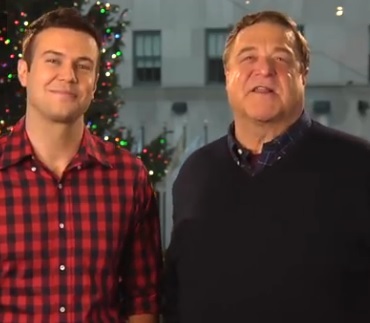 John Goodman returns to New York City to host Saturday Night Live for a lucky 13th time! That’s right. The actor has hosted the sketch comedy show a whopping 13 times throughout the year. Hosting the show this Saturday, John will be joined by musical guest Kings of Leon. Update: Now that the episode has aired, we can see why John Goodman is asked back time and again. It was also a real treat to see celebrity guests like Robert Deniro show up for a sketch. The makeup was on point last night and the celebrity impressions were hilarious. I love when they go out of their way to make the show visually appealing. In the GUY FIERI’S FULL-THROTTLE CHRISTMAS sketch, hilarious impressions and fabulous costumes made me want to celebrate the holidays with this weird bunch of celebs with a giant turkey under a custom printed table runner. It was also a real treat to see celebrity guests like Robert Deniro and Sylvestor Stallone show up for a sketch.